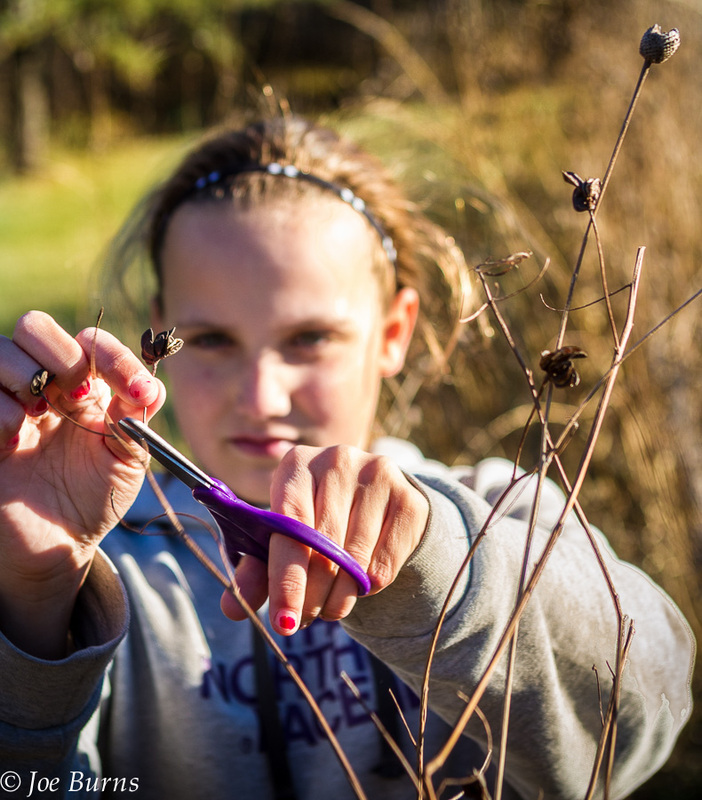 Around forty fifth-grade student naturalists stayed after school at Arbor Park last week to collect native wild flower and grass seeds from a small one acre patch of native flowers and grasses tucked into a corner of the school grounds. This is the third growing season for the mini prairie that was planted by Arbor Park students. Fifth grade teacher Todd Wick said the students will continue to collect the seeds over the next week or so, and then sew them after Thanksgiving. The idea is to expand the field, and move the larger species away from the trail areas.